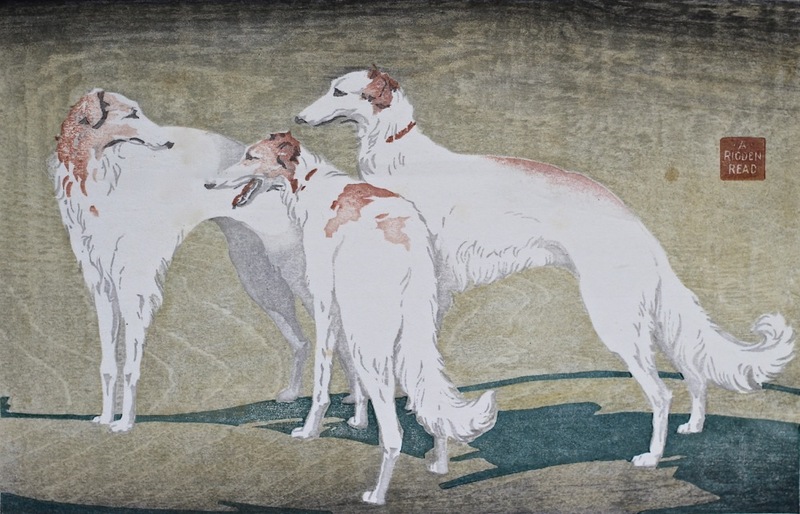 Living and producing most of his work in Winchelsea, East Sussex, Read was acknowledged as a master of the oriental craft of colour woodblock, or wood-cut, printing. Inspired by Japanese influences around 1900 these beautiful and subtle prints became fashionable in the 20s and 30s, requiring great skill as an artist, designer and printer.His first recorded print ‘The White Cat was in 1922 and his last one in 1946, printed in runs of 50 or less and each one subtly different as the hand process offered a degree of experimentation in the number of blocks used and their colour/shading. Exhibiting in several leading galleries, he represented Britain at the Venice Biennale in 1924 before successes in California and Chicago. His prints are held by the British Museum and in collections worldwide.